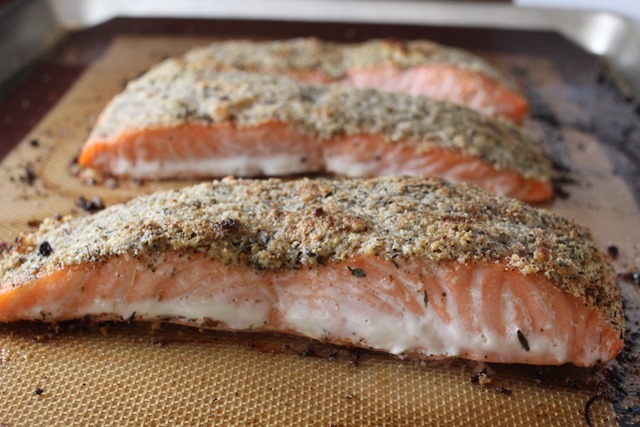 I made this almond crusted salmon twice during the month I did Whole 30. I bought 2 Costco size salmon, that was easily about 10 servings each. I bake it all at once and then portion and freeze half of it. 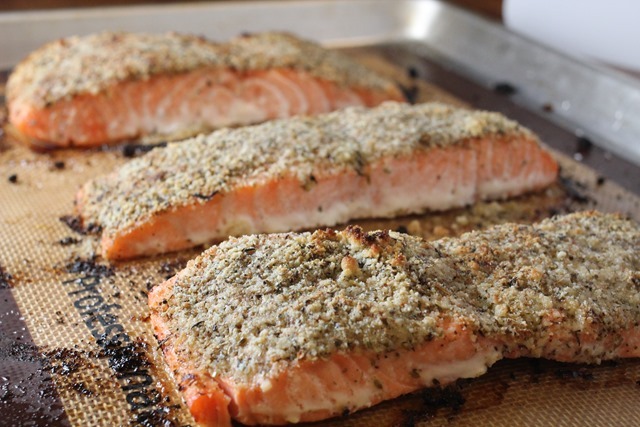 I love salmon and usually bake/grill them with just a simple oil, salt & pepper on it. 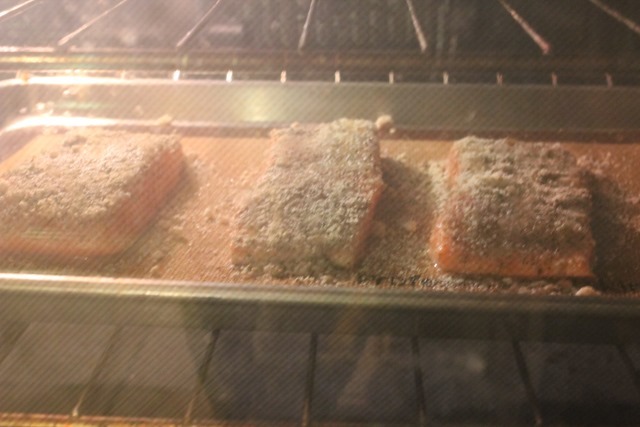 So this was a much different way for me to cook salmon, it was a welcome change. 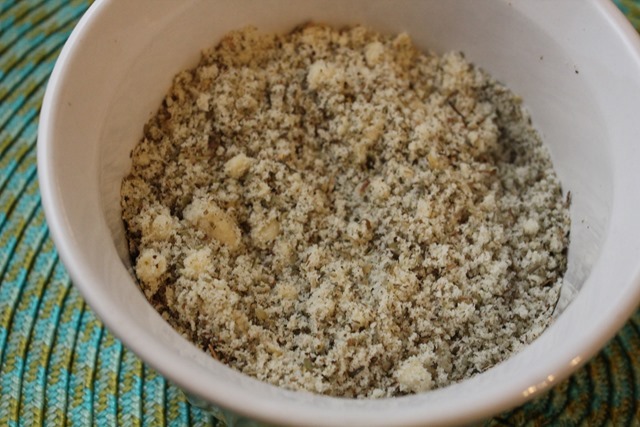 The main flavor of the almond crust is the Italian seasoning, so make sure that the brand you use is good quality. I like that the recipe uses fresh lemon juice and coconut oil too. 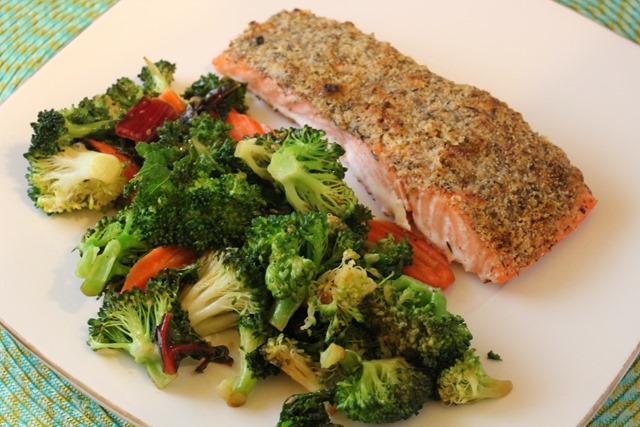 I also served this salmon when we had company over for dinner and everyone liked it as well, everyone enjoyed it with steamy rice while I like to eat this with stir fry veggies. 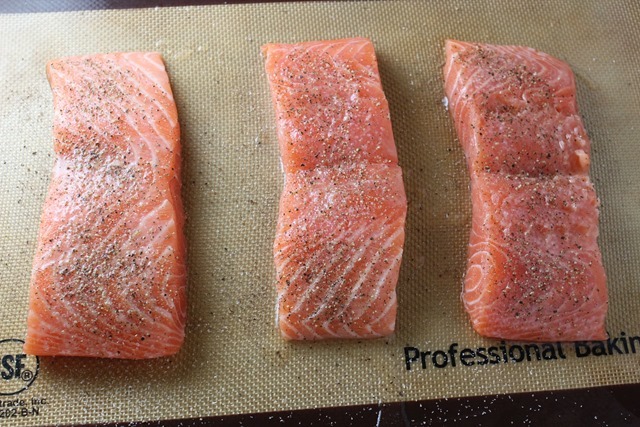 Lay salmon scale side down on a baking sheet. Squeeze lemon juice over salmon filets. 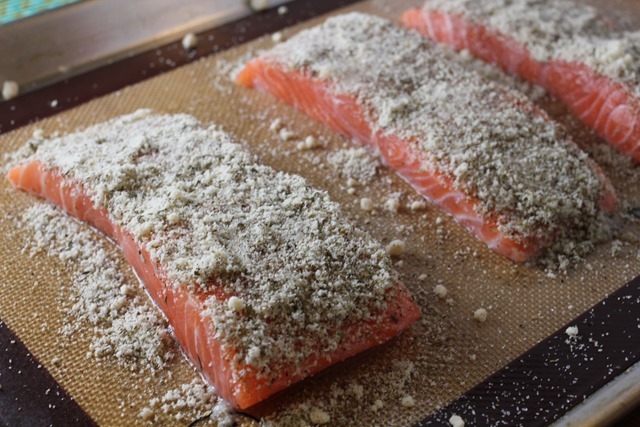 In a small bowl, combine almond flour and italian seasonings and sprinkle mixture evenly over fish. Drizzle melted coconut oil over fish. Set oven to broil and broil until the crust begins to brown, about 5 minutes. Temperature of fish should be 165 degrees. Recipe found on Pinterest.from A Blossoming Life blog. 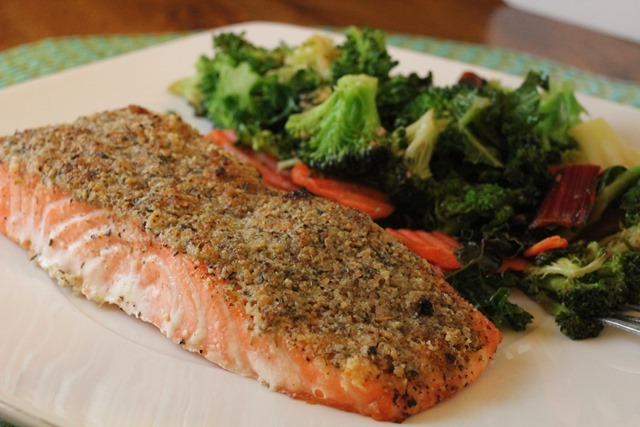 This sounds like a deliciously healthy way to prepare salmon. Ive never combined salmon with Italian flavors- great idea. thanks for sharing!